Cheep models: Baby chickens offer an alternative to mice and monkeys for studying autism. Exposing fertilized chicken eggs to valproic acid, an epilepsy drug, yields chicks with apparent social deficits. The finding could lead to a new model for autism in its early stages1. Exposure to valproic acid in utero is known to boost the risk for autism. Researchers primarily use mouse models of autism to study social behaviors, although mice have drawbacks. Monkey models are more socially and genetically similar to people than mice are. But primates reproduce slowly, and studying them is expensive. Some evidence suggests that typical newly hatched chicks, like people, recognize and respond to faces, something that is difficult for children with autism2. The researchers tested whether chicks exposed to valproic acid also have this difficulty. They injected fertilized eggs with valproic acid. The eggs hatched in total darkness so that the chicks would not be prematurely exposed to any visual stimuli. They also placed the chicks in individual compartments to prevent social interactions. Two days later, they placed 33 drug-exposed chicks and 29 controls on a running wheel with an object on either side. The chicks could run toward either object — a stuffed hen or a box covered in hen feathers and other jumbled hen parts. Social settings: Ordinary chicks placed on a wheel choose a stuffed hen over a hen-like blob. Each chick stayed on the spinning wheel for 30 minutes. The researchers recorded the number of spins in each direction as a measure of the chicks’ preference for each object. 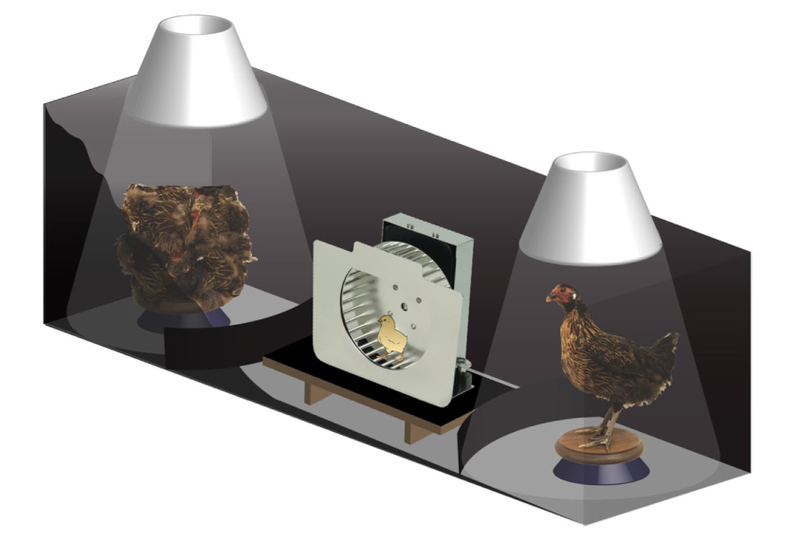 Control chicks show a strong preference for the stuffed hen, but the chicks exposed to valproic acid show no preference, suggesting they have limited interest in interacting with the hen. This result hints that chicks exposed to valproic acid either have trouble recognizing faces or are less social overall than controls are. 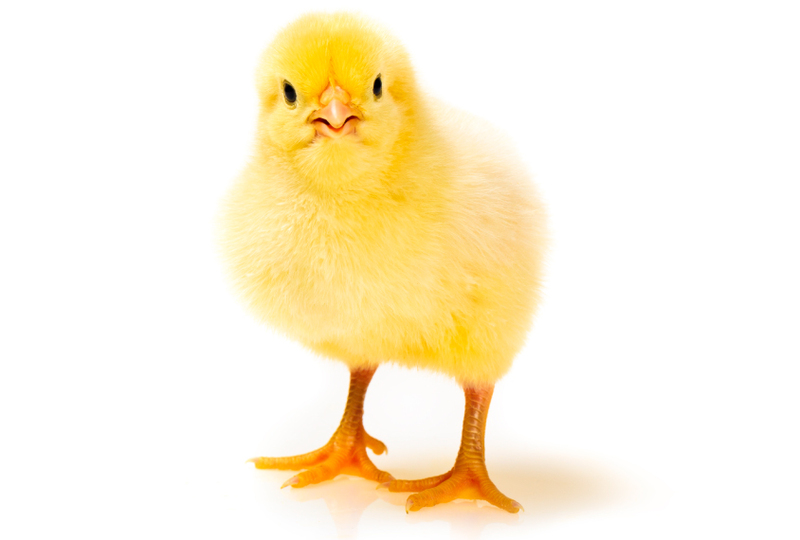 Valproic acid does not affect the chicks’ ability to learn. In a second wheel experiment, the researchers found that exposed chicks choose a shape on which they had been imprinted over a new shape just as often as controls do. The results appeared 12 April in Scientific Reports.